The Office of Development and Alumni Relations' role is to establish a mutually beneficial relationship between the College of Law and its alumni. We provide opportunities for alumni, parents, and friends of the College to connect with their alma mater. Our staff works hard to raise money for the College of Law, coordinate volunteer efforts, and provide events that advance and engage our alumni community. For general assistance, please contact the Office of Development and Alumni Relations at alumni@law.stetson.edu or 727-562-7818. Following a 10-year career in the world of politics, Kevin Hughes has worked in development for the past 8+ years. Most recently with Denison University, Hughes comes to Stetson with a passion for working with individuals to realize their philanthropic goals, while fulfilling the priorities and mission of the institution. His role at Stetson not only entails securing resources for the College of Law, but also heightening the level of engagement and involvement of all of its alumni. A native of Pittsburgh and graduate of Allegheny College, Hughes still enjoys supporting all of his favorite Pittsburgh teams from afar. Once a competitive runner, he also hopes to someday recapture a semblance of his former running self. In the remainder of his spare time, he’s usually found at the beach with his wife Katie and daughters Blake and Tess. Debbie Swink has worked for not-for-profit organizations since 1997. Prior to joining Stetson, she worked for Lowry Park Zoo, LifePath Hospice and the American Heart Association. Her development background includes special events, planned giving, foundations and individual donor relations. Swink has raised more than 25 million dollars and believes the $50 gift is equally as important as the six-figured gift. Her role is matching the donors philanthropic vision and passion with the organization’s mission. Swink grew up at the Space Coast and graduated from USF in Wellness Education. She has traveled to more than 25 countries, where she has taken cooking classes, biked, hiked and explored the world. She is always planning for the next adventure as well as the next dinner party. She lives in St. Petersburg with her husband Craig. 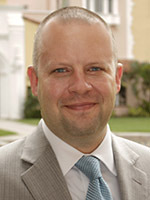 Mike Casey specializes in engaging the Stetson Law community of alumni. He helps to establish and grow local alumni chapters around the State of Florida and the country. He is also responsible for planning many of the College of Law’s signature events, including the Scholarship Dinner, the Hall of Fame Banquet, and the annual Alumni Holiday Open House. Prior to joining Stetson, Casey received his bachelor’s degree in Communication from the University of South Florida. He then worked for over a decade in the Marketing Department at the Tampa Bay Times (formerly the St. Petersburg Times) where, among his other duties, he helped establish the Events Department. A St. Petersburg native, Casey is an active member of the community he lives in with his wife. A long-time resident of St. Petersburg, Patricia Toups earned her undergraduate degree in Business Administration from Stetson University. Toups has worked in the Office of Development and Alumni Relations since 2001 in various roles. As assistant director of development, Patricia brings a broad breadth and knowledge to the development team that includes historical timelines, practices and procedures, fiscal management and most importantly, a loyalty and devotion to Stetson Law and its alumni. Toups previously worked in the Office of Admissions at Stetson Law from 1980 to 1984. 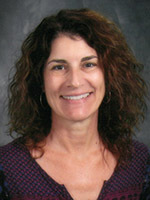 In 2004, she was one of three employees named Employee of the Year. She received the Dean’s Award for service to the law school in 2007 and 2012. She has two sons and one daughter. One of her sons is a graduate of Stetson University College of Law. 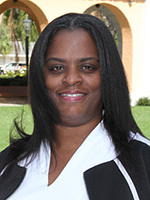 Tomeka Jackson provides administrative support for the entire department, and in particular, works closely in helping to prepare for the College of Law’s multitude of events. A graduate of Florida Metropolitan University (BS – Criminal Justice) and a graduate of Nova Southeastern University (MSCJ – Criminal Justice), Jackson most recently worked at Raymond James Financial in St. Petersburg. In her free time, Jackson enjoys shopping, traveling and visiting with family and friends. Annie Culbertson has a comprehensive background in data and project management. A graduate of Eckerd College with a B.A. in visual and liberal studies, Culbertson most recently worked for the Pinellas County school district as a data manager, and previously as a project manager for a Clearwater-based corporation. 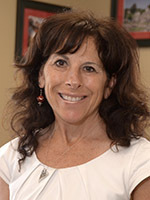 Her academic experiences, along with her careers in both education and the corporate world, blend well to enable her to understand and uniquely contribute to the needs of faculty, staff and students. When not at work, Culbertson can be found enjoying time with family and friends, creating mixed-media art in her home studio, and exploring Florida’s beautiful beaches and landscapes. 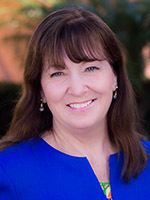 Susan Lane has brought to Stetson Law her two decades of experience in the philanthropic sector with a focus on higher education, donor advised funds, marketing, comprehensive capital campaigns and community engagement. Lane is a senior-level fundraising leader with previous positions as a strategic philanthropy consultant for Growfund, a national donor advised fund; assistant vice president of development for Florida International University; chief development officer for the College of Human Medicine at Michigan State University; planned giving vice president for Fidelity Charitable Services, the nation’s leading donor advised fund; and as a fundraising executive for two national heritage charities – American Cancer Society and Easter Seals. Lane earned a bachelor’s degree from Michigan State University’s College of Education and has completed coursework toward an Executive MBA. 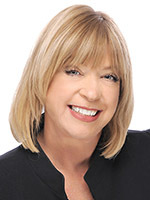 She is a certified fundraising executive (CRFE) and regularly presents at fundraising and nonprofit conferences. She is a passionate advocate for higher education and the non-profit community. 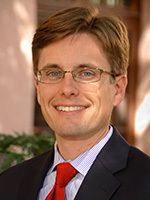 Lane is married to Tom Lane, an estate and tax attorney and is the proud mother of Emily Lane who is a student at Stetson University College of Law. She is an avid reader and enjoys traveling, music, theatre, and gatherings with friends and family.